For both energy conservation and economic reasons, Thomas Jefferson University and Hospital, one of the largest healthcare groups in the Philadelphia region, set the goal of reducing its lighting energy consumption by at least 30% without sacrificing illumination quality. To accomplish that – and much more, Jefferson partnered with Encelium Technologies, the manufacturer of the Energy Control System™ (ECS). 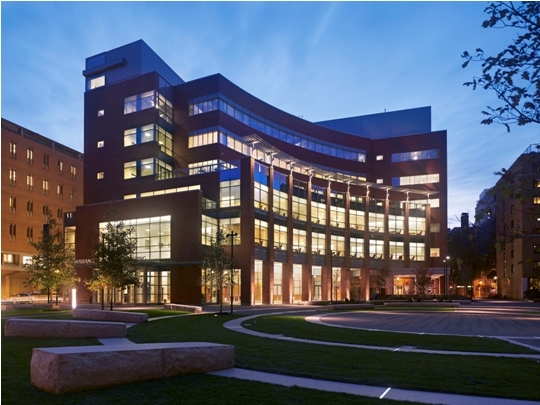 Encelium customized its innovative lighting control and energy management solution for Jefferson, which has more than 4 million square feet of clinical, research, teaching and housing property. At Jefferson, Haines estimates that lighting represents approximately 15% of the healthcare facility’s electricity costs – nearly $1.7 million per year. Over the course of several years, he developed an advanced metering system for the facility, allowing him to compare energy information on an interval basis and make decisions based on the most current data. With this information, Haines determined just how effective an advanced lighting control system would be at Jefferson in reducing lighting energy and delivering a quick payback on investment. In 2005, Jefferson began its pilot program for advanced lighting with the 10th floor of the complex’s historic, century-old Main Building. After that program’s success, Jefferson renovated the 5th floor of the Main Building in 2006 as well as the 2nd through 5th floors of the Dorrance H. Hamilton Building in 2007. In addition to healthcare facilities, ECS is ideal for retrofits or new construction of office buildings, schools, parking garages, big-box retail, stadiums and warehouse space. As the most advanced lighting control solution for commercial buildings, ECS typically meets or exceeds today’s sustainable requirements for new or existing office buildings, including Title 24, ASHRAE 90.1 and is eligible for various utility rebate programs and local “green” building mandates. The system contributes up to 18 points, depending on the application, toward achieving the coveted U.S. Green Building Council’s Leadership in Energy & Environmental Design (LEED).